This interview is being conducted for the purpose of chocolate research, and to gain a deeper understanding of how chocolate affects people’s lives. Many people enjoy the delicious, sweet substance, yet not all are aware of the history. The interviewee will be asked a series of questions about how chocolate affects her life. She enjoys chocolate on a daily basis, and so this interview will be beneficial to everyone. First, she will be asked about her favorite kind of chocolate, and why she chose it. Secondly, how chocolate has affected her life, either health wise, or pleasure. Lastly, we will discuss how chocolate has progressed, or stayed the same over the years. For example, does chocolate taste the same now, as it did hundreds of years ago? Is chocolate as healthy now as it was in the time of the Mayans or Aztecs? The interview will give everyone a new perspective on almost every aspect of chocolate. Without further ado, let’s begin our interview with a chocolate lover. The interviewee was born and bred in Southeast Michigan, and is now twenty-one years old. Her obsession with chocolate began when she was very young. She recalls, “eating chocolate as young as two years old when my father would feed me spoonful’s of chocolate ice cream.” I laughed, responding, “Yes, chocolate ice cream is very good. Do you still enjoy chocolate ice cream?” She replied, “Of course! Only, now I eat organic, dairy free chocolate ice cream.” At this point, it was a perfect time to move the interview toward our first question. Obviously the interviewee has enjoyed chocolate her whole life, and it would be interesting to know what is her favorite kind of chocolate. She replied, “My favorite chocolate comes the Endangered Speciesbrand, and my favorite flavor is Dark Chocolate, With Forest Mint.” It sounded delicious. I asked, “Why is that your favorite brand of chocolate?” Interviewee: “Well, the ingredients are healthier than something you would find in a Nestle brand for example. This brand is a NON GMO product, Kosher, certified gluten free, and certified vegan. It also contains around 70% cocoa.” It was refreshing to know that the interviewee had a respect for healthy, organic chocolate. I was able to research the product, and gathered the ingredient information. It contains, “BITTERSWEET CHOCOLATE (CHOCOLATE LIQUOR, CANE SUGAR, COCOA BUTTER, SOY LECITHIN, VANILLA), NATURAL MINT FLAVOR” (Chocolatebar.com). It also contains 5g’s of fiber, 12 g’s of sugar, and 3 g’s of protein. The total calories per bar is 210. The fact that the interviewee was aware of the health benefits of cacao surprised me. Cacao is the purest form of chocolate, and to give the reader some perspective, we will explore its origins. Cacao has a deep and rich history. The interviewee was read the information to give a better perspective. In response, she said, “Wow, I thought I knew a lot about Cacao, but apparently not. I did not know that Abigail Adams drank chocolate for breakfast in London. That is very interesting. It seems like chocolate was a delicacy in those days. People of high class consumed it. They made it popular.” Next, I wanted to move the interview towards my next question. I asked, “How has chocolate affected your life in all areas? Do you consume it for health, pleasure, or perhaps both? At his point in the interview, it was my intention to steer the conversation towards social issues surrounding chocolate, and it’s production. The interviewee has a history of being very passionate about human rights, so this topic was perfect for our conversation. First, I wanted to gauge her familiarity with the subject. After doing research, I was astounded from what I found. In America chocolate isn’t given a second thought. Everywhere you turn there is chocolate. From candy to desserts there is no shortage. Most often, Americans do not give a second thought to were products we use and eat come from and the effects those products have on other societies in order to produce it for our enjoyment. Luke:“Do you mind if at this point in the interview, we discuss the effects chocolate has on society?” Interviewee: “Of course not! I love being able to talk about these things because it brings awareness to the subject.” Luke: “Let me start off by reading from an interesting news posting from the BBC. It quotes, ‘African cocoa farms are still employing hundreds of thousands of children, the BBC has discovered, 10 years after the world’s leading chocolate companies promised to tackle child labor. Ivory Coast is the world’s biggest cocoa producer with as many as 800,000 children working in the industry, often in dangerous jobs’ Humphrey Hawksley reports from Ivory Coast. Most Americans today do not know this. It’s so important that people today are educated’” (BBC News). Menato, Francesca. “Cacao Powder Benefits | Why It’s Better Than Chocolate.” Women’s Health UK, womenshealthmag.co.uk/weight-loss/healthy-eating/2736/health-benefits-of-raw-cacao-over-chocolate/. “Inside Big Chocolate’s Child Labor Problem.” Fortune, Fortune, fortune.com/big-chocolate-child-labor/. “Ivory Coast Cacao Farms Child Labour: Little Change.” Http://Www.bbc.com/News/World-Africa-15681986. Source: Photo by Brian Hagiwara Studio, Inc. posted on Smithsonian Museum (2008), “A Brief History of Chocolate”. https://www.smithsonianmag.com/arts-culture/a-brief-history-of-chocolate-21860917/ . [Accessed: March 18th, 2018]. Chocolate was once medicine. This is a great way to justify your love for this indulging sweet. However, you need to know the whole history behind this mysterious product in order to use this as your argument. We will do this by exploring the historical trajectory of chocolate products as healthy food in Japan. First of all, what is chocolate? As it could be seen from the origin of the word- “chacau haa” meaning hot water or hot chocolate, chocolate that was born in Mesoamerica around 1500 BC in a form of liquid (Coe & Coe 2013, 180). In other words, chocolate was not candy to begin with, rather more like cacao juice. According to Coe & Coe (2013, 108), in Ancient Maya civilization, the drink was considered as a stimulant, almost like an energy drink for warriors. After the Spanish colonized Mesoamerica, they brought back the product to their homeland. While there were heated debates over whether chocolate was good for people’s health or not, in general, the positive view persisted and spread amongst Europe. For example, in 1704, a French food writer Louis Lemery wrote that chocolate was strengthening, restorative, good for digestion, and enhances venery (Coe & Coe 2013, 208). Such view in favor of chocolate as “healthy” is still alive today. However, the main focus is on the benefits of cacao, in particular that of the substances such as Theobromine and Catechin- an antioxidant (Benton et al., 1998; Arts et al., 2001 cited in Storrs 2017). So, the question here is, is the candy chocolate that we commonly know of, good for our health or not? Introducing chocolate as kami no kate (god’s food), the nutritional benefits of coco beans are explained in detail, such as improving digestion, and therefore contributing to longer lifespan. 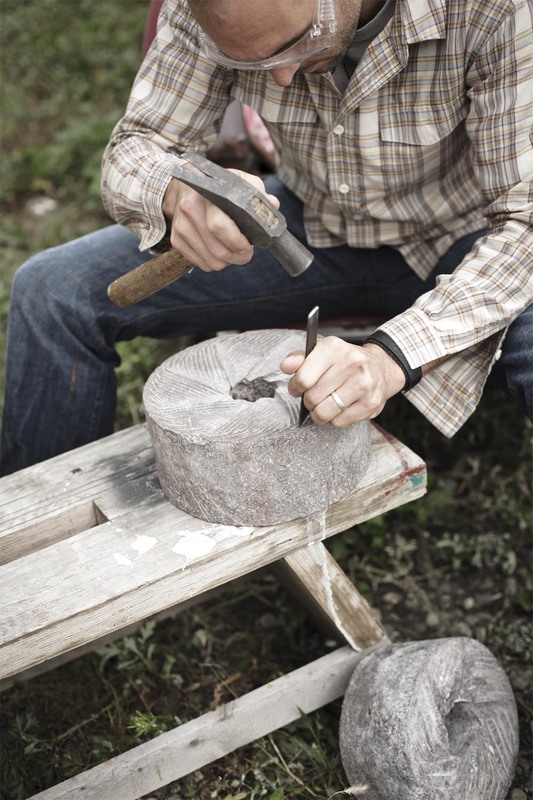 The history of solid chocolate is quite recent. Around mid-20th century, the energy drink was turned into a bar to take it for hiking. Concurrently, the sugar content of chocolate rose up, making it into a sweet. Following the Industrial Revolution, chocolate became a cheap product, available to everyone. However, people’s understanding of health also changed around the same time and the belief in chocolate as panacea gradually diminished (Coe & Coe 2013, 241). Now let’s take a look at Japan. In contrast to Europe where chocolate as a beverage spread amongst the elite class and then to the mass in the form of solid sweet, chocolate was welcomed in Japan after it had established its form as candy. Morinaga Confectionary corporation was the first company to produce chocolate bars from cacao beans in 1910. Around this time, advertisements were filled with health benefits (Image 2). Particularly interesting about the advertisements in the pre-war era is the notion of calories. Concerned with diseases such as diabetes, we often refrain from eating things with high energy content these days. However, the advertisement published on a mainstream Japanese newspaper called Asahi Shinbun on February 8th, 1920 states that the main reason why chocolate consumption is encouraged is because of its “heat giving power”, in short- calories. The small chart also shows the comparison of calories in food products ranging from white radish, bread, and beef to that of Morinaga’s chocolate products written in bold, emphasizing the high calories of chocolate. Based on the assumption that cacao was the main product that was thought to be nutritious in Mesoamerica and Europe, it is possible that such was also the case with Japan. Yet, we should not overlook the power of sugar. Kushner (2012, 138) notes that sugar, at that time when staple food prices were increasing, was seen as an affordable way of acquiring calories. This was inextricably linked to war. Triggered by the threat of Western nations, Japan, since the Meiji restoration in 1868, expanded its territory in East Asia, colonizing places such as Taiwan, Korea, and Manchuria. In such context, gaining calories was seen as the way to form strong bodies, thus contribution to the nation. In this sense, chocolate was for everyone- men, women, and children (Image 4). From the Left, Image 3“Morinaga Miruku Chokorēto” (Morinaga Milk Chocolate) (Source: Morinaga Seika Kabushiki Kaisha 1920, February 8th, Tokyo Asahi Shinbun, 6); Image 4: “Tatakau katsuryoku, Morinaga Miruku Chokorēto” (Power to Fight, Morinaga Milk Chocolate) (Source: Morinaga Seika Kabushiki Kaisha 1920, February 8th, Tokyo Asahi Shinbun, 6); Image 5: Morinaga Chocolate Advertisements in the 1980s targeting women (Source: P-interest (n.d.) https://www.pinterest.co.uk/pin/745768019518428795/ [Accessed: March 18th, 2018]. Source: Meiji Con., (n.d.) “Chokoreto koka”. https://www.meiji.co.jp/sweets/chocolate/chocokoka/ [Accessed: March 18th, 2018]. What awaited the burst of the bubble economy in the 1991, was the so-called the Lost Decades. Japan faced prolonged economic stagnation and serious social issues such as stress-society. After the economy recovered, with the phenomenon of ageing-population and declining birth rate, people started to become more aware of seikatsu shukan-byo (life-style related diseases), namely diabetes, high blood-pressure, and obesity. In other words, people came to view their life in the long-term, desiring a healthy life. According to a survey on people’s attitude towards food conducted by the Japan Finance Corporation in 2017, the main trend in people’s choice of food was healthy food with 44.6%, showing a steady rise for the past seven years. In the contrary, the second prominent factor money (31.4%) has been showing continuous decline, possibly indicating that people are prioritizing health over cost. This reflects the “health boom” which could be seen from the exponential growth of “healthy chocolate” market (Graph 1) (Meiji Co., n.d.). Source: Meiji Con., (n.d.) “Chokoreto koka”. https://www.meiji.co.jp/sweets/chocolate/chocokoka/ [Accessed: March 18th, 2018]. Moving onto the second group of chocolate. For those who are concerned about the calories of chocolate there is Libera. Glico confectionary corporation created this product which contains Indigestible dextrin- a type of fiber that prevents the intake of fat and glucose (Glico Co., n.d.). It is assigned as a “Function Claim”- “foods submitted to the Secretary-General of the Consumer Affairs Agency as products whose labels bear function claims based on scientific evidence, under the responsibility of food business operators”. Lotte corporation has also produced “Lactobacillus Chocolate” (Nyusankin shokora). Coating Lactobacillus brevis NTT001, a plant derived lactic acid bacterium, this product helps improve the condition of people’s intestines (Lotte Co., n.d.). These two are more targeted towards women. These trends show how chocolate in Japan has reemerged as a magical health food. Although chocolate has been receiving a similar kind of attention in US and possibly in other parts of the worlds, it is mainly the high content of cocoa that is the primary focus of attention. Japan’s follows a similar trend but with a different strategy. It is by specializing in specific nutritional benefits of chocolate that they do so. Furthermore, it also contains nutrients foreign from cacao to provide a different type of benefit that chocolate previous did not have or could not have achieved. From this, we may be able to say that the Japanese consumers are wanting to health benefits from chocolate and perhaps food in general. Taste is not enough and chocolate is not just candy. Arts, I. C., Hollman, P. C., Bueno de Mesquita, H. B., Feskens, E. J., & Kromhout, D. (2001). Dietary catechins and epithelial cancer incidence: the Zutphen elderly study. International journal of cancer, 92(2), 298-302. Cited in Storrs, C. (May 25, 2017). Benton, D., Greenfield, K., & Morgan, M. (1998). The development of the attitudes to chocolate questionnaire. Personality and Individual Differences, 24(4), 513-520. Cited in Storrs, C. (May 25, 2017). Coe, S. D., & Coe, M. D. (2013). The true history of chocolate. Thames & Hudson. Consumer Affairs Agenecy, Government of Japan (2015). “What are Food with ‘Function Claims’?” https://www.e-expo.net/pdf/news2015/20151228_caa01.pdf [Accessed: March 17th, 2018]. Glico Co., (n.d.). “Gaba”. http://cp.glico.jp/gaba/index.html. [Accessed: March 17th, 2018]. “Libera”. https://www.glico.com/jp/product/chocolate/libera/. [Accessed: March 17th, 2018]. Kushner, B. (2012). Sweetness and empire: sugar consumption in imperial Japan. In The Historical Consumer (pp. 127-150). Palgrave Macmillan, London, 138. Lotte Co., (n.d.). “Nyusankin shokora”. https://www.lotte.co.jp/products/brand/nyusankin-chocolat/ . [Accessed: March 17th, 2018]. Storrs, C. (May 25, 2017). “Is chocolate good or bad for health?” CNN. https://www.cnn.com/2016/02/10/health/chocolate-health-benefits/index.html [Accessed: March 17th, 2018]. Japan Finance Corporation (2017). “Survey on Consumer’s Attitude on Food”. https://www.jfc.go.jp/n/findings/pdf/topics_170915a.pdf [Accessed: March 17th, 2018]. Meiji Co., (n.d.). “Chokoreto koka”. https://www.meiji.co.jp/sweets/chocolate/chocokoka/ [Accessed: March 18th, 2018]. Morinaga Seika Kabushiki Kaisha (ed.) (2000) Morinaga hyakunenshi (100 years of History of Morinaga Confectionary Company), Tokyo: Morinaga Co.. The Mayan Society of Mesoamerica drank chocolate together and called this popular social act “Chokola’j” (C. Martin, Mesoamerica and “the food of the gods”). History is often written through landmark events that shaped it, but often without the mentioning of the common human who made it, this is especially true about the history of chocolate. The significance of chocolate came from the captivating ability of chocolate to touch hearts and transcend social, cultural, lingual, and physical barrios and dovetail the Americas and Europe with a power even mightier than that of the military and economic powers, the social power of chocolate. In Sweetness and Power, Sidney W. Mintz argues that the simple decision of the common human in post-colonial European societies to consume Mesoamerican commodities made history through changing the meaning of labor, self-identity, and commodity: “In understanding the relationship between commodity and person, we unearth anew the history of our selves” (qtd by C. Martin, Slavery Abolition and Forced Labor, Mintz, 1985, page214). Mintz is right, for unraveling the history of Chocolate’s popularity unravels the western hemisphere’s origins of wealth distribution, social habits, economic relationships, and self-identities. More importantly it can define our future path towards what is responsible, just, and right for a prosperous chocolate future that involves all stakeholders and shareholders. The beautiful moments of happiness, comfort, and love passing through the lives of millions of people eating and drinking chocolate every day lure intellectual curiosity to trace what key factors, trends, ideas, and technologies contributed to the rise of chocolate’s popularity over time. In The True History of Chocolate Sophie and Michael Coe explain that “It was the Maya who first taught the Old World how to drink Chocolate, and it was the Maya who gave us the word “cacao.” They deserve recognition in the culinary history of Theobroma Cacao.”(Coe and Coe, P.66). Archeological records of historical Mayan documents and artifacts like the Maya Princeton Vase of the 8th century stands testimony to the ancient Mayan chocolate-socializing habits, it depicts a Mayan royal palace with people seated in a scene with a woman preparing chocolate (Coe and Coe, P.50). Over time chocolate spread from the Mesoamerican elites to European elites and amplified in popularity among the masses. Chocolate and coffee houses were a part of the English life in 17th century England where the Italian Lorenzo Magalotti who lived in England between 1668 and 1688 AD described these houses: “…Where coffee is sold publicly, and not just coffee, but other drinks, like chocolate.”(Coe and Coe, P.171). Knowledge of chocolate and its recipes got adopted by the masses and spread along European colonial societies including North America. In The History of Classic American Dessert, Carla Martin explains that “Newspaper advertisements for chocolate sales in the colonies have been traced back to the early eighteenth century, as have customs logs and diary entries mentioning chocolate” (C. Martin, 2012). In The New Taste of Chocolate, M.E. Presilla reveals the Xocolat familiar: “Contains recipes written in an elegant 19th century hand, giving precise measurements for chocolate blends prepared especially for local families.”(M.E. Presilla, 30, 2009). Based on the above literary and material sources it is evident that the Mesoamerican chocolate traditions were adopted by Europeans and North Americans, which induced significant change defining labor, social, and economic change. It cannot go unstated that this steered an ever increased demand, which brought about the tragedies of slavery, colonization, massive inequality in distribution of prosperity and wealth, and went all the way to restructuring the sense of western world Norms, struggles, and identities . In The New Taste of Chocolate, M.E. Presilla reveals the 1874 invention of the Melangeur:” The Melangeur is one of the most versatile and long lasting inventions of the industrial revolution of chocolate manufacturing.” (M.E.Presilla, page 28, 2009). Historic literary and material sources evidence shows an entire technology developing from traditional Mayan recipes of preparing and processing chocolate. Images of the Mesoamericans preparing the drinks can be seen today in their thriving societies as in the historical depictions of 15 surviving documents of Dresden Codex pre-colonial documents and the ambiguous Popol Vuh, colonial documents (C. Martin, “ Mesoamerica and the “ food of the gods”). The preponderance of social power that steered the increased popularity of chocolate were driven by chocolate’s ability to touch hearts, penetrate feelings, and create taste. Chokoversum Melangeur (An-d. Nov, 2013). Knowing the key factors, trends, ideas, and technologies contributed to the rise of chocolate’s popularity over time enable us to draw the future. The social power of chocolate is galvanized to serve the powerful managerial chocolate corporations today. What is needed is a balancing approach that enables the corporations to get galvanized behind the social power of chocolate. This is especially important to achieve in Ghana and the Ivory Coast where 72% of the worlds Cocoa production is produced, often under dire circumstances (C, Martin Lecture One). Going back into these historic changes can guide us to successfully adopt changes in the future inclusive of all its stakeholders and shareholders. This Video is mixing some historic facts, some of which were mentioned in the blog, and interestingly reasoning them with fun facts in trying to explain the ever rising popularity of chocolate. Martin, Carla D. “Slavery, Abolition and Forced Labor.’”. Chocolate, Culture, and the Politics of Food. Harvard University: Cambridge, MA. 28 Feb.2018. Class Lecture. Mintz, Sidney W. Sweetness and Power, The Place of Sugar in Modern History. Viking Penguin Inc. Penguin Books: New York, 1985. Print. Oriel. Chocolademachine Mol D’Art. 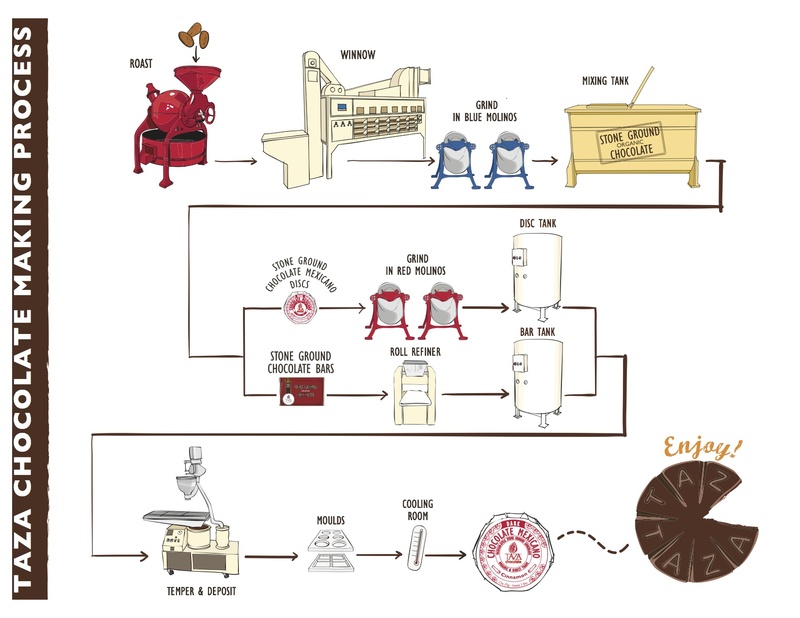 Chocolate machine. Wikimedia Commons. Web. N.D. When you think of warfare, you probably think of soldiers, tanks, or guns; you probably do not think of chocolate, however, chocolate played an integral part in World War II. The military in the first half of the 20th century had a problem. Men were fighting on the front lines were in conditions where field kitchens could not be established. Sustenance would have to be shipped in and it would have to be compact and portable. It was to this end that Captain Paul Logan, of the office of the U.S. Army Quartermaster General, turned to chocolate. He met with William Murrie, then president of Hershey Chocolate Corporation, and Sam Hinkle, his chief scientist, in 1937 about developing a chocolate bar emergency ration that could stand up to the rigorous military standards required for field rations. Chocolate was uniquely qualified as a choice for rations as it is not only lightweight and portable but it is also is a stimulant, provides a quick burst of energy and is fairly nutritious. There were, however, some technical issues that need to be dealt with before chocolate was ready for duty on the front lines. As anyone who has left a chocolate bar in their pocket on a summer’s day knows, chocolate tends to melt in moderately high temperatures. This gives chocolate its wonderful mouthfeel but also makes it a challenge to transport it hot climates. This is due to one of chocolate main ingredients; cocoa butter, which has a melting point of 78 degrees Fahrenheit, turning any chocolate above that mark, whether in your mouth or in your pocket, from a solid bar to a mushy mess. Once assured of these chocolate bars being up to snuff, the military put them into production. In her book, Combat-Ready Kitchen: How the U.S. Military Shapes the Way You Eat, Anastacia Marx de Salcedo describes the packaging process: “The finished bars were sealed in foil and then paper-wrapped in sets of three, for a total of 1,800 calories, enough to sustain a man for a day. (Later, when foil became scarce during World War II and the use of chemical weapons seemed imminent—mustard and chlorine gas had been used frequently in World War I—waterproof cellophane and wax coated boxes were used [to prevent any deadly chemicals from leaching into the soldiers’ food]). By the end of 1945 Hershey was producing 24 million bars a week. As for what the soldiers thought of them, their thoughts can be seen in the nickname they gave it; “Hitler’s secret weapon”. In his article, “Chocolate! The war’s secret weapon: our GIs went to war well supplied with weapons, clothing–and chocolate!”, Terry W. Burger interviews John Otto, a platoon leader in Company A of the 82nd Airborne Division’s 505th Parachute Regiment, for his experience with the Ration D bars, “They were awful,” “They were big, thick things, and they weren’t any good. I tried ’em, but I had to be awful hungry after I tried them once…. Whatever they put in didn’t make them taste any better.” Nevertheless, the Ration D bars kept the soldiers alive on the battlefield and in other precarious situations. Not only that, because chocolate contains stimulants such as theobromine and caffeine, it kept the soldiers awake and alert, which was vital to their survival and success, especially in hostile territories like Nazi-occupied France. Some of the soldiers dislikes of the bar may have stem from their quick consumption; the instructions clearly stated the bars are to be eaten slowly (in about half an hour the label says), so a soldier on the move who consumed his Ration D bar a little too quickly may have experienced quite a bit of gastronomic distress. Chocolate has been part of the military ever since. In 1943, Hershey created the Tropical Bar, the Ration D’s ever-so-slightly better tasting cousin, for consuming in the hot and humid Pacific. This bar saw action during the Korean War (1950-53) up through the early days of the Vietnam War. In 1990 Hershey created the Desert Bar, which tasted like an original Hershey bar but could withstand temperatures up to 140 degrees Fahrenheit. Not that Hershey was the only game in town; Forrest Mars introduced M&M’s in 1940; just in time for the chocolate candy that “melts in your mouth, not in your hand,” to be added to soldiers rations. Today soldiers receive chocolate in a variety of places, whether it’s in a MRE (Meal, Ready-to-Eat) ration or a care package that boosts their spirit and gives them a little taste of home. Marx de Salcedo, Anastacia. Combat-Ready Kitchen: How the U.S. Military Shapes the Way You Eat. Penguin. 2015. Brenner, Joel Glenn. The Emperors of Chocolate: Inside the Secret World of Hershey And Mars. Random House, Inc. 1999. Fisher, John C., and Carol Fisher. Food in the American Military: A History. McFarlan & Company, Inc. 2011. Burger, Terry W. “Chocolate! The war’s secret weapon: our GIs went to war well supplied with weapons, clothing–and chocolate!” America in WWII, Feb. 2007, p. 36+. General OneFile, libraries.state.ma.us/login?gwurl=http://go.galegroup.com/ps/i.do?p=GPS&sw=w&u=ntn&v=2.1&it=r&id=GALE%7CA400957701&asid=4593f3eb2321afb7732288b7e5322620. Accessed 6 Mar. 2017. “Ration D Bars” Hershey Community Archives. http://www.hersheyarchives.org/essay/details.aspx?EssayId=26. Accessed 3 Mar. 2017. Schumm, Laura. “The Wartime Origins of the M&M”, June 2, 2014. History.com. http://www.history.com/news/hungry-history/the-wartime-origins-of-the-mm. Accessed 3 Mar. 2017. Butler, Stephanie. “D-Day Rations: How Chocolate Helped Win the War”, June 6, 2014. History.com. http://www.history.com/news/hungry-history/d-day-rations-how-chocolate-helped-win-the-war. Accessed 3 Mar. 2017. Theobroma Cacao is the botanical name for the Cacao tree and cocoa tree. The genus Theobroma Cacao was named by Swedish botanist Carl Linnaeus, famed for formalizing the binomial nomenclature, in 1753. The Theobroma genus is native to the tropics of Central and South America, going as far North as the lower regions of Mexico. Theobroma encompasses 22 different cocoa species, and typically range from 4 to 8 meters in height. Interestingly, Theobroma are actually classified as evergreens, being related to the Malvaceae family, or mallows. Cacao pods – the large colorful fruits of the Cacao These pods vary by type and origin. 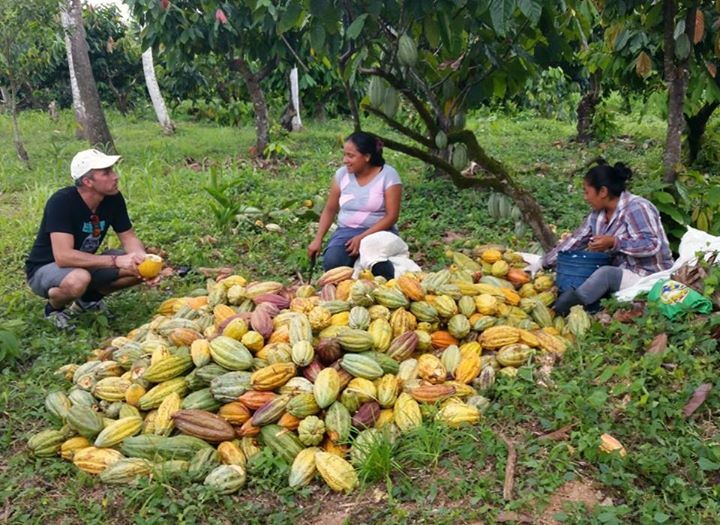 Cacao pods tend to change colors between stages of development; usually starting in deep hues of red, purple, or green, before maturing into shades of orange or yellow. Cacao beans – the seeds of the Cacao pod. Cacao and cocoa are both commonly used to describe the raw material from Cacao tree. The origin of the word Cacao comes from Central and South America. The cocoa is an Anglicization of the Spanish form – cacao. The Olmec (1500 BCE- 400 BCE ), predecessors to the Maya and first major civilization in Central America, are the first farmers of the Cacao pods, and the first plantations for the Cacao appeared in Guatemala and Southern Mexico around 400B.C. Theobroma means Food of the Gods in the Mayan language. Of their myths, Mayans believed that the Plumed Serpent gave Cacao to them, after people were created from maize by the divine grandparent deity Xmucane. The Mayans to this time celebrate Cacao because they think that this is a gift from the God. The Aztecs also believe that the Plumed Serpent– Quetzalcoatl – discovered cacao. In 250 AD the Mayans started to painting Cacao in hieroglyphic. In Dresden and Madrid Mayan wrote the codex in hieroglyphics, but since this time saved only 15 texts. In these images, Cacao was presented like food or drink consumed by the Gods. Mayans also named Cacao on the hieroglyphics Kakaw. 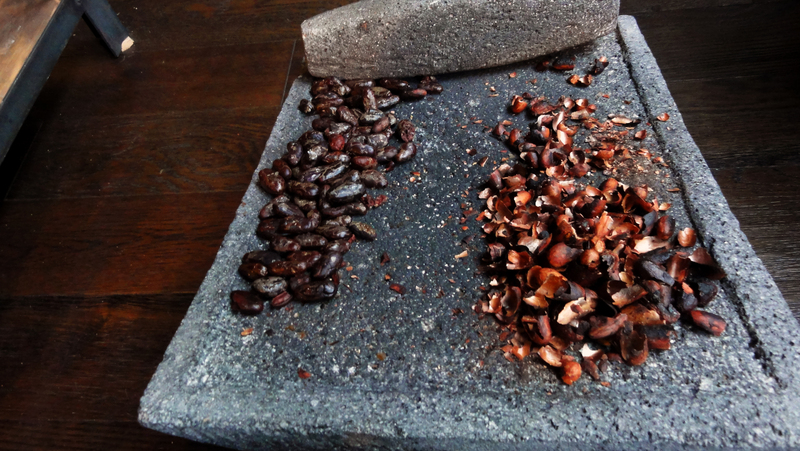 The Mayan and Aztec people used to prepare Cacao in many different ways as a food or drink. One such use was to turn Cacao into drinks for celebrations, and was imbibed by both the civilizations during the marriage ceremonies or religious rituals. One important sacred document for the Maya is Popol Vuh or, “Book of Counsel”. Within this story of the creation of the universe, the Cacao is mentioned few times like a godly plant worthy of reverence. People believed that Cacao – as well as tobacco – is an essential to their social, spiritual and physical prosperity. Cacao also was presented in rites of death. Part of their beliefs was that the seeds could help the soul in travel to the underworld. Cacao tree was also perceived like a connection between earth, underworld and sky, royal bloodline. Mayans thought that plant is integral to keeping cycles of death, life, and rebirth. Cacao was thought to boost energy and made the imbiber stronger. Cacao for Mayan and Aztec population was something what they could exchange for the goods. For example fish wrapped in maize husks was worth 3 Cacao beans. The Mayans and Aztecs used to make some Cacao or chocolate beverages which were stored in ceramic vessel. Archeologists found vessels dating to between 1900-900 BC. Vessels were labor-intensive arts & crafts; among the most important valuables a Mesoamerican owned, stamped with their personal insignia. The chocolate contained in this way used to be served like a liquid and mixed with spices or wine. A commonly held belief was that this drink could work like an aphrodisiac. Today, this beverage is known as Chilate. Christopher Columbus in 1502 was the first person from Europe who came into contact with Cacao during his journey to Guanaja. He sent the Cacao to the King Ferdinand. While cocoa was rare for some time, around 20 years after Columbus’ first sample, Prince Philip of Spain received the cocoa drink from a Dominican friar. The reception to this was so positive that France and Portugal didn’t trade cocoa to the rest of Europe for 1000 years. Cocoa consists of around 700 compounds. Apart from the taste, the most important benefit are antioxidants who helps us to avoid diseases, reduce cholesterol, lower the blood pressure, and is even believed to be a preventative of cancer. Cacao is rich in protein, fat, fiber, iron, magnesium and calcium. Mayan and Aztecs were treating Cacao like a good medicine. They believed that this is a gift from the god who helps them to stay healthy. They also treated Cacao as currency because very often they got something in exchange of cacao. As we can see, Cacao has been known for centuries. Cacao and chocolates are famous on the all world. We can eat and drink it. I think for people this product can be a connection of something really tasty and healthy. It’s good for our heart, mind and mood. Terry G. Powis; W. Jeffrey Hurst; María del Carmen Rodríguez; Ponciano Ortíz C.; Michael Blake; David Cheetham; Michael D. Coe; John G. Hodgson (December 2007). “Oldest chocolate in the New World”. 81 (314). ISSN 0003-598X. Retrieved 2011-02-15. Watson, Traci (22 January 2013). “Earliest E SPONGEBOBca”. Science. Retrieved 3 March 2014. Utilized as everything from a delicious drink to a medicinal treatment, chocolate is incredibly diverse in nature. However, it was not always as widely accepted and enjoyed as it is today. In fact, there were some religious questions as to whether or not chocolate could be consumed and under what circumstances–some claimed that it was too indulgent to be permitted. In modern society, there definitely is an underlying sense of guilt associated with the consumption of chocolate confections and sweets. How is it that in an age where health and conscious eating govern all that a food associated with such guilt can be so lucratively successful? Where does this underlying sense of guilt come from? By considering the situation and perspectives on chocolate from its discovery until modern day, this issue will provide a lens through which we can develop a better understanding of the connection between religion and modern culture. Through the analysis of the psychology of guilt ,the history of chocolate, and the religious stance on its consumption over the years, this post will argue that the reason so many people associate eating chocolate with a feeling of guilt is based in its religious history. Nestle Advertisement. Retrieved from Pintrest. In order to understand where the idea of associating guilt with eating chocolate stems form, we must first understand how chocolate is viewed by society today. Some may argue that people do not actually feel guilty about consuming chocolate, but if that were the case then why does almost half the female population consume chocolate only in secret? (Hetherington and Macdiarmid, 237) What is most confusing about this trend is that it seems intuitive that if something were tied to guilt, humans would be less likely to consume that product. “It makes me feel bad about myself, so I will not engage in it,” is the seeming logic. However, multiple psychological studies have shown quite the opposite: guilt makes things more desirable. In fact, “experiencing the emotion of guilt can increase pleasure.” (Silverman, 2012) The idea that something can being perceived as guilty and desirable is the very root of many advertising campaigns. Researcher Kelly Goldsmith argues that if a product is labeled “guilt-free,” the pleasure experienced from consuming this good will most likely decrease. (Silverman, 2012) Therefore, chocolate producers use advertisements (such as the one above) that portray eating chocolate as a guilty activity. Notice the woman hiding behind the chocolate bar, not revealing her whole face. This reaffirms the idea that chocolate itself is a “guilty pleasure,” thus increasing the desirability of the product. These campaigns have been astronomically successful, as demonstrated by the fact that 94% of individuals say that chocolate is their most desired food. (Hetherington and Macdiarmid, 235) It is clear that chocolate not only comes with a sense of guilt, but this guilt is the very basis for why it is so appealing. This begs the question: what is the root of this guilt? Raimundo Madruzo-Hot Chocolate. Retrieved from Wikimedia Commons. With an understanding of the association between chocolate and guilt, we can now delve into the historical roots of this sentiment. Although it is unclear exactly when chocolate was brought to Europe, it was most likely sometime between 1518 and 1530. (Coe and Coe, 129) Chocolate was consumed mainly as a drink, becoming an integral part of many social clubs. Considered a highly indulgent beverage, it was often served in “coffee-house” settings and consumed by upper class individuals (depicted to the right). The undeniable luxurious nature of this treat became the basis for a raging theological argument that began shortly after its discovery and introduction into European society. As chocolate became more and more a part of European culture, there began to emerge some potential religious conflicts with the new sensation. Catholicism allows for one to drink water and wine on fast days. However, questions as to the status of chocolate in the context of fast days arose in 1577 when Dominican Friar Chiapas wrote to the Pope inquiring as to whether or not the new drink were permitted on such fast days. (Martin, Lecture 2) This topic was hotly debated for a half-century among priests. Not only did some priests have an issue with consuming chocolate beverage on fast days, but many claimed that it should not be permitted at all. Some postulated that its decadent nature and the fact that it was an inebriant could be of concern. While most religious authorities believed indulgences were permissible in moderation, some held that chocolate was too indulgent and should not be permitted at all. Maya Cacao God. Retrieved from Cornell University. Additionally, many of the Latin American indigenous groups, such as the Mayan and Aztec people, worshipped cacao gods, such as the one to the left. (Coe and Coe, 39) Because of this religious connection, some began to argue that chocolate was problematic for Christians because of its Pagan origins. While it was never explicitly deemed forbidden, chocolate was seen as a highly indulgent, luxurious treat. Given the fact that overindulgence and physical enjoyment were often looked down upon, this perception gradually led to the idea that allowing oneself to eat or drink chocolate signaled weakness and that was something to be embarrassed about. Each year, Americans spend around $100 billion on chocolate alone. (Martin, Lecture 1) While this number is absolutely astounding on its own, it becomes even more magnificent when considering the negative feeling of guilt that our culture associates with indulgence, specifically surrounding chocolate. However, through an analysis of the historical roots of this guilt and the psychology behind that emotion itself, it becomes clear that not only does this guilt not hurt consumption, but actually drives it up exponentially. Interestingly enough, the chocolate industry has none other than the Catholic Church to thank for their lucrative success worldwide because their disapproval of indulgence is what created the sense of guilt we experience today when consuming chocolate. As Professor Dhar says, “in every instance, we found that those who felt guilty experienced the greatest enjoyment.”(Dhar, 2013) At the end of the day, this is what we all want—to enjoy ourselves. So go grab a bar of chocolate and let the guilt sink in. Coe, Sophie D., Coe, Michael D. “The True History of Chocolate.” Thames & Hudson. (2013). Dhar, Ruvi. “The Pleasure of Guilt.” Yale University. (January 17, 2013). Retrieved from http://insights.som.yale.edu/insights/the-pleasure-of-guilt. Evans, Martin. “Catholics told to abstain from eating meat on Fridays.” The Telegraph. (May 14, 2011). Retrieved from http://www.telegraph.co.uk/news/religion/8512721/Catholics-told-to-abstain-from-eating-meat-on-Fridays..html. Hamblin, James. “Purity Through Food: How Religious Ideas Sell Diets.” The Atlantic. (May 1, 2015). Retrieved from https://www.theatlantic.com/health/archive/2015/05/the-puritanical-approach-to-food/392030/. Hetherington, Marion M., Macdiarmid, Jennifer I. “Chocolate Addiction”: a Preliminary Study of its Description and its Relationship to Problem Eating. University of Dundee. (1993). Retrieved from https://www.researchgate.net/profile/Marion_Hetherington/publication/15056851_Chocolate_Addiction_a_Preliminary_Study_of_its_Description_and_its_Relationship_to_Problem_Eating/links/564a2d7108ae127ff98686bb.pdf. Martin, Carla D. “Chocolate, Culture, and the Politics of Food Lecture Slides 2016.” Lecture presented at AAAS 119x Lecture in CGIS, Cambridge. (2017, February 1). Martin, Carla D. “Chocolate, Culture, and the Politics of Food Lecture Slides 2016.” Lecture presented at AAAS 119x Lecture in CGIS, Cambridge. (2017, February 8). “Pastoral Statement on Penance and Abstinance.” United States Conference of Catholic Bishops. (November 18, 1966). Retrieved from http://www.usccb.org/prayer-and-worship/liturgical-year/lent/us-bishops-pastoral-statement-on-penance-and-abstinence.cfm. Silverman, Rosa. 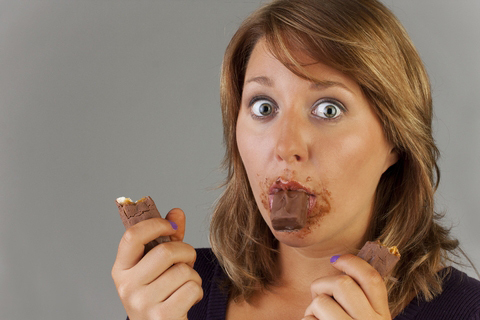 “Chocolate-it’s the guilt that makes it so delicious, study finds.” The Telegraph. (December 8, 2012). Retrieved from http://www.telegraph.co.uk/foodanddrink/foodanddrinknews/9731303/Chocolate-its-the-guilt-that-makes-it-so-delicious-study-finds.html.